We are pleased to announce that we’ve added two 3D printers to our product offering: MakerGear’s M3 Independent Dual (M3-ID) and M3 Single Extruder (M3-SE). MakerGear has been manufacturing 3D printers in its Beechwood, Ohio facility since 2011. The company’s M2 model has garnered awards for four consecutive years as one of the top “workhorse” 3D printers in the world. The M3 line was introduced in May 2017. Just like its predecessor, the M3s are built with rugged machined metal frames and the now-famous—and extremely reliable—MakerGear extruders. MakerGear also has a reputation for excellent customer service and support. The philosophies of our two companies align well, with meticulous focus on well-constructed products and thorough post-sale customer service. We couldn’t be happier with the collaboration. The M3-ID features two extruders that run on complete separate drive systems. This allows users to print in two different materials at the same time, either making two identical parts, two different parts, or one part made of two materials. With a nozzle temperature up to 300°C and a bed temperature up to 130°C, the M3-ID can build parts in a wide variety of plastics. Simplify 3D software, for print preparation and optimization, is also included with purchase. For our many experienced users, these MakerGear printers are the perfect option for expanding into engineering-grade plastics or learning dual extrusion. 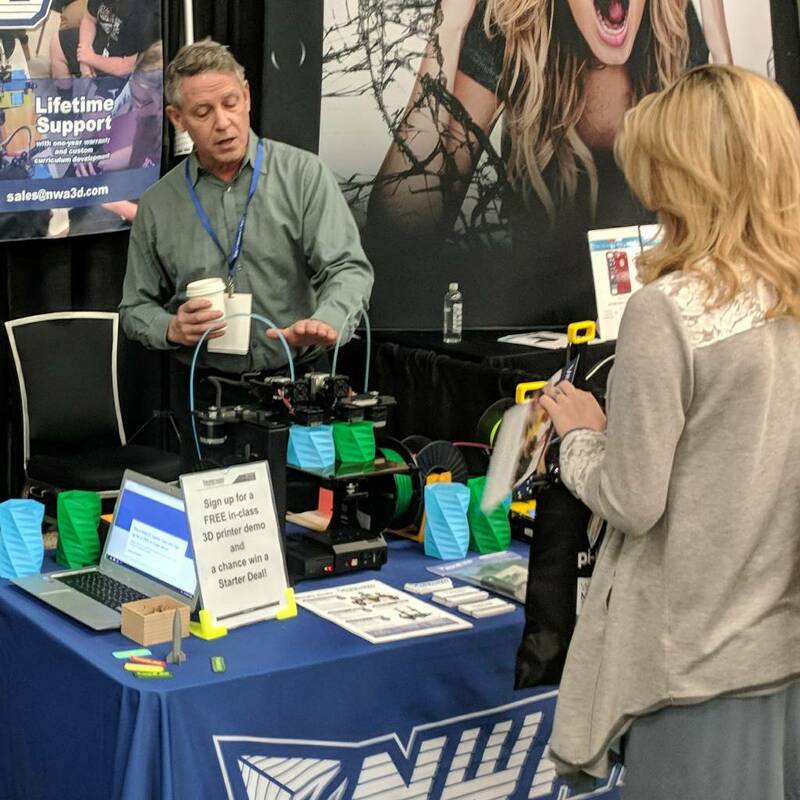 Yet the M3s are so reliable and easy to use, they also make a great choice for a newcomer to 3D printing that wants a machine with robust capabilities. Check out the machine specs on our website. And if you have any questions about the M3-ID or M3-SE, please leave a comment or send us a note to sales@nwa3d.com.